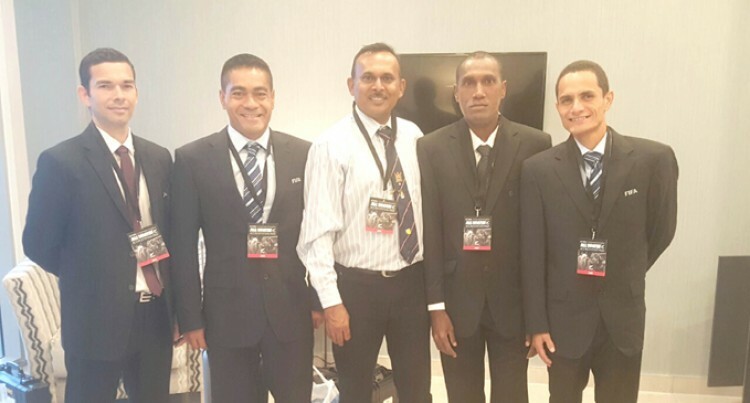 It was another great achievement for Fiji Football Associations referee Director RakeshVarman as he officiated in the 2018 FIFA World Cup Russia Qualification Stage 3 final between New Zealand and the Solomon Islands at the QBE Stadium last Friday. The former FIFA badge holder was the Match Assessor and to date he is the only Fijian to assess a World Cup qualifier zonal final. Returning from the huge assignment on Monday,Varman said he never expected to be appointed for the big match but believes his hard work and determination has brought him this far. “I always believe in hard work and giving my best- this does not go unnoticed. “I hope to continue and maybe if I am consistent all throughout then who knows, someday I might even be assessing matches at the FIFA World Cup,” he said. Varman also participated in the FIFA Futuro 111 Course as a referee’s instructor and FIFA Assessor.